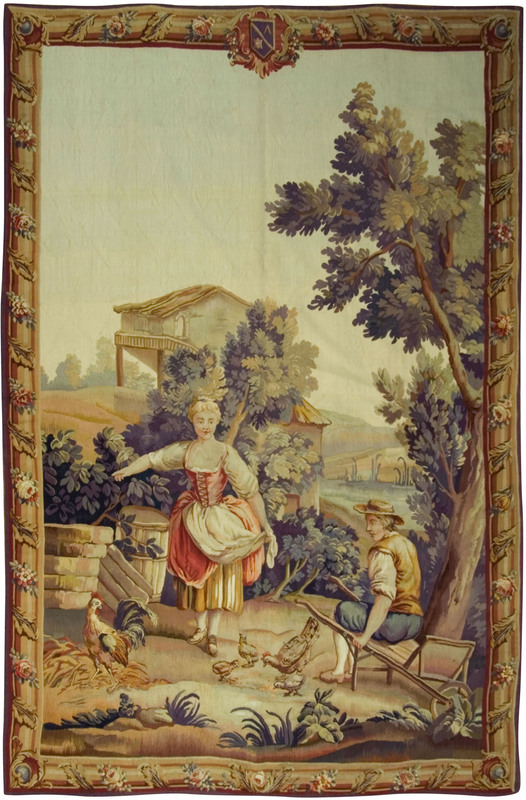 This 19th Century Aubusson tapestry depicts 2 youths in the foreground of a pleasant countryside setting. One sits on a wheelbarrow while the other appears to be pointing toward foliage as to suggest work to be done. A barrel is seen in the foreground suggesting it to be full of wine. In the background a thatched roof cottage rests next to a pond.